Mickoski strikes at Macedonia's government. “Unfortunately, there is a big zero, even a drawback to a number of processes, from those metaphors and promises that took place during election campaigns in both local and early parliamentary elections. 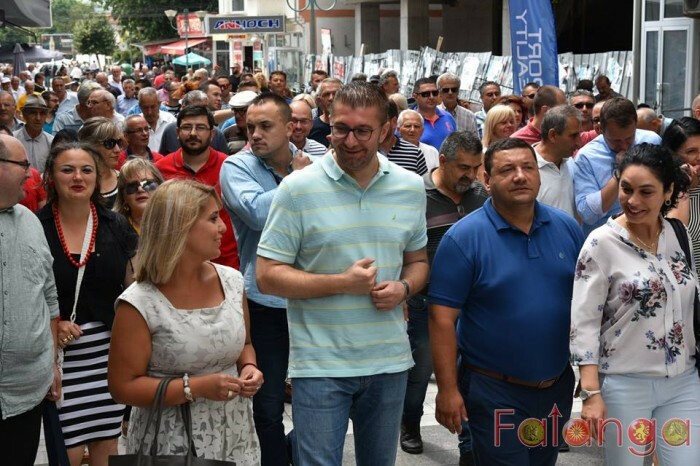 The disappointment among the citizens is obvious, that is the reality in the Republic of Macedonia, in contrast to those expensive campaigns of propaganda that we are seeing on TV and the news portals in the Republic of Macedonia these days. Unfortunately, I sympathize with everything that our citizens feel because I am part of them and we, as VMRO-DPMNE, as a people’s party, are a part of the citizens and among the citizens. We are sympathetic to the pain and disappointment they feel and on behalf of that we will prepare a program that will benefit the Macedonian citizens,” said Mickoski.